I have wanted to visit the Mingan Islands for years now. I decided the time was right for a photographic road trip! I will be camping for about a week without much access to electricity so I wanted to bring foods that will not need to be kept cold. First up Beef Jerky! 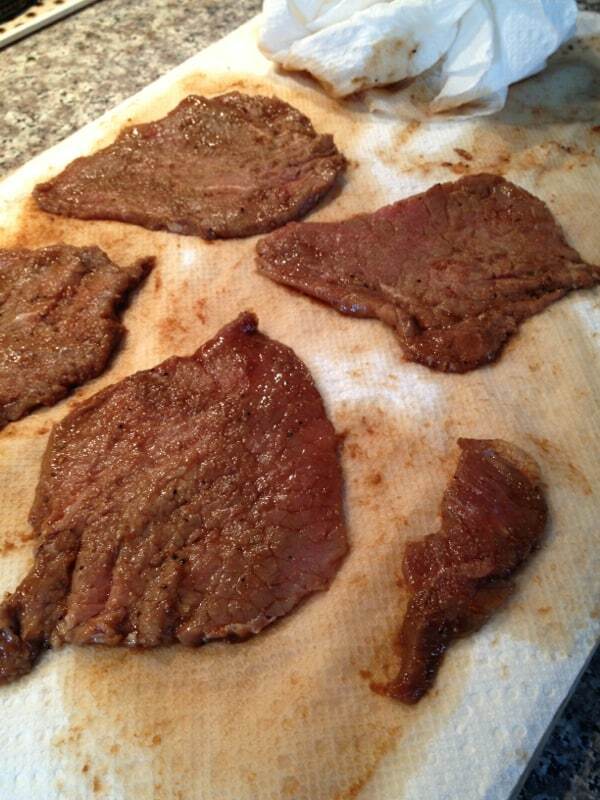 I prefer using an eye of the round roast for jerky as it has almost no fat in the meat. 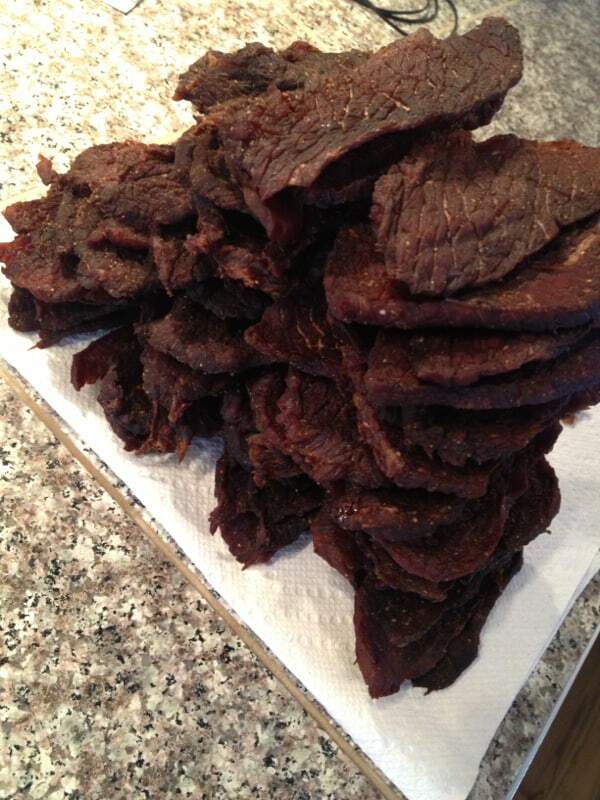 Fat does not dehydrate well and really limits the time the jerky can be kept. 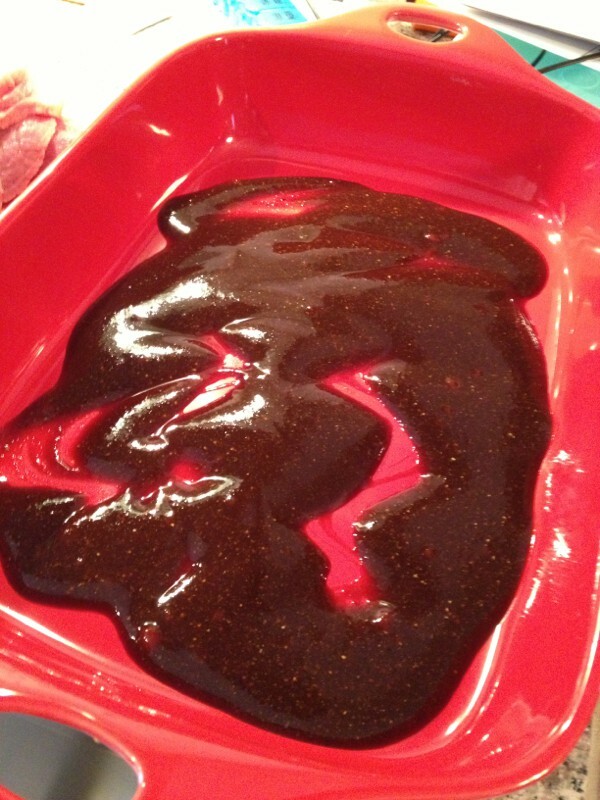 First step is to prepare the marinade. I use about 2.5 kg of eye of the round roast. 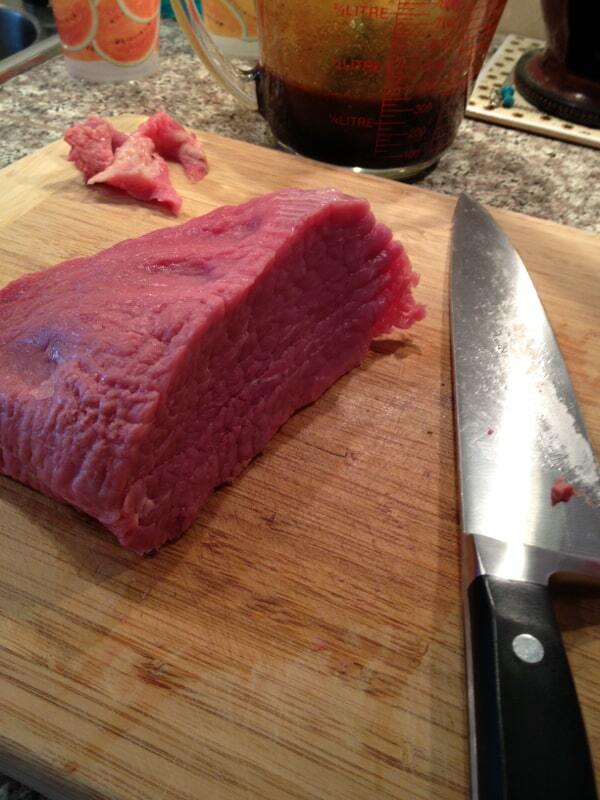 Slice the roast (easier if you leave it in the freezer for an hour) with a sharp knife into slices about 1/4 inch thick. 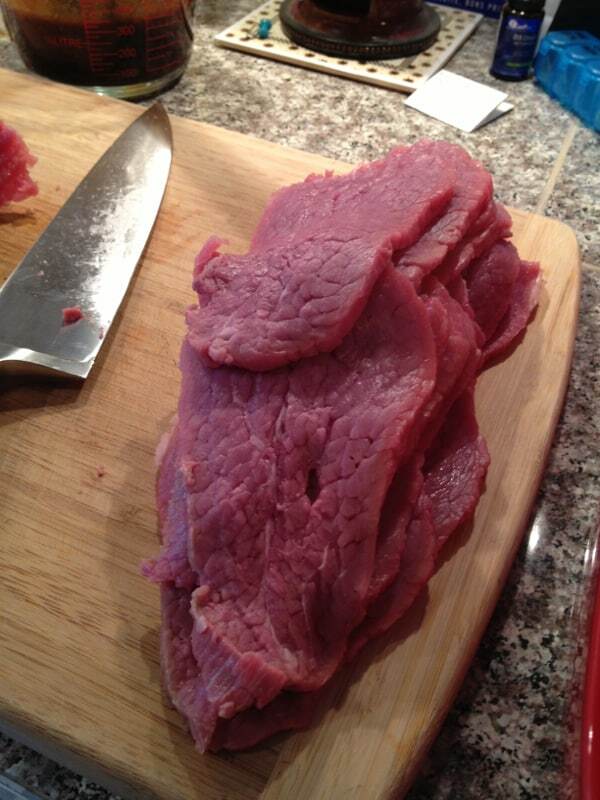 Coat each slice on both sides with the marinade. 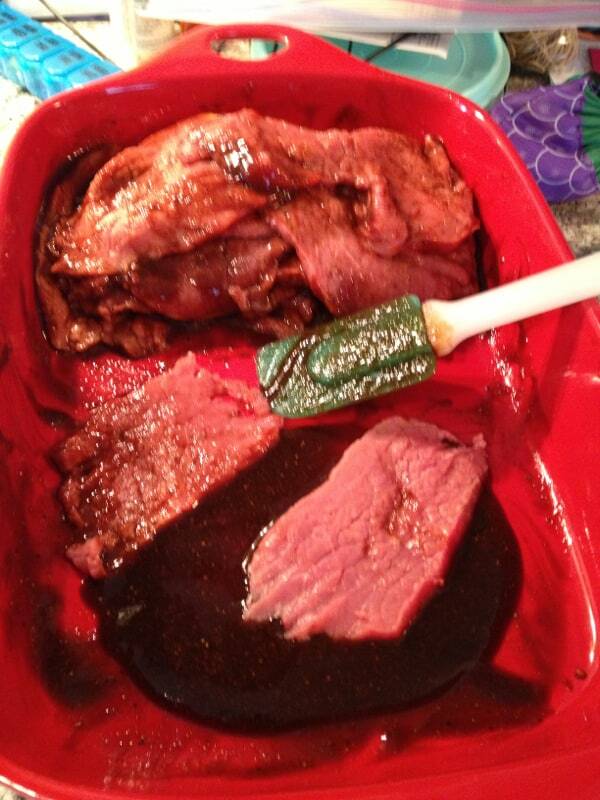 I usually pour some of the marinade in a large container to make this easier. Once all the slices have been coated I throw them all into a large ziplock back with any remaining marinade. Put the bag in the fridge for at least 6 hours and up to 24 hours. The longer you leave it the more the flavours will develop. 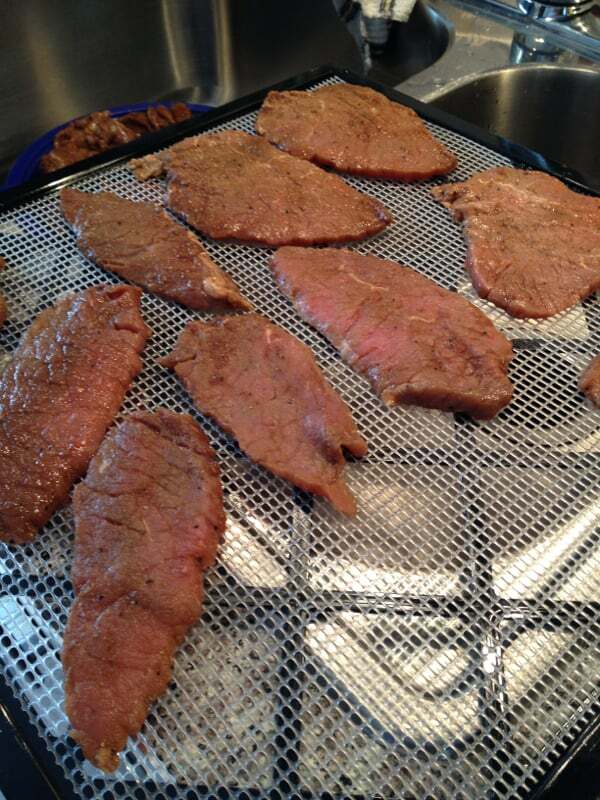 Remove the slices from the bag and pat them dry before spreading them out on your dehydrators racks. The dehydrator I use is an Excalibur 3900. 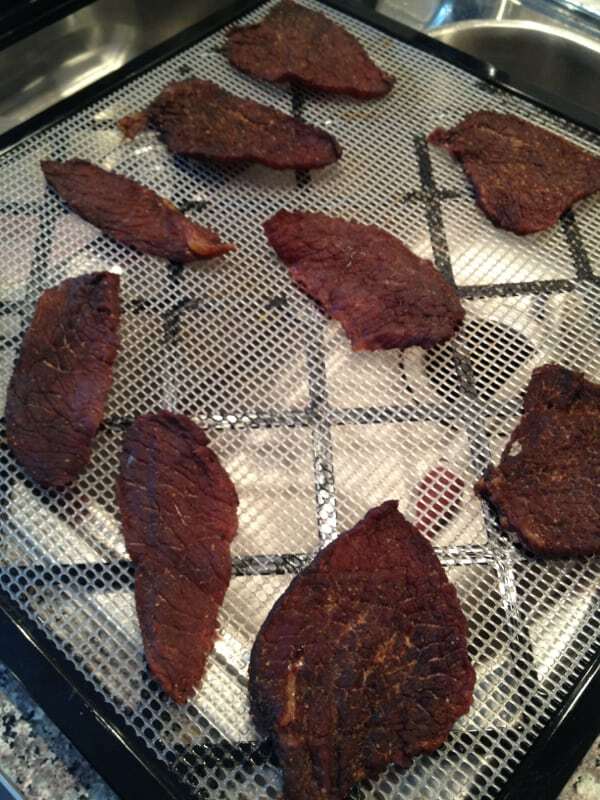 Once they are all ready I throw them in the dehydrator at 155°F / 68°C for about 6 – 8 hours. In my dehydrator it is usually ready in about 5 hours 45 minutes but it really depends on the thickness of the slices. You want the meat to break like a green stick when ready. Cool! Glad the recipe can be useful! Let me know how they like it.